Thought I’d share some info on bone density this month. Low bone density (LBD) affects women and men and can become a significant quality of life issue if it leads to fractures. While it’s true that active people can get LBD, it’s more common in sedentary (non-exercising) folks. If your work involves a lot of standing, you’re better off even if you do not exercise. The key – weight bearing and resistance training exercise. Research says impact activities (plyometrics like jumping, skipping & hopping) trigger increases in bone mineral density. We can’t all jump, can we? Heel drops are a good option and here’s a link to a demo: http://tinyurl.com/yyn8wsun. For more overall fitness,there’s “high velocity resistance training.” Done more quickly with less weight, this triggers bones to become denser with less risk and targets the aerobic and balance systems too. This style of resistance training can be subbed in on any training day. Click here for an excellent discussion on velocity training from the good folks at Johnson Fitness. Great News! I’m teaming up with dietitian Lynn Umbreit to broaden the services at Body Positive. Lynn and I have been colleagues for almost ten years. She is an expert in sports nutrition and weight management and is also a Certified Diabetes Educator. It makes sense to bring fitness and nutrition under one roof, if only figuratively for now. Lynn does one on one consulting, grocery store tours (way more eye opening than you might imagine!) in-home “kitchen makeovers,” and many wonderful classes. 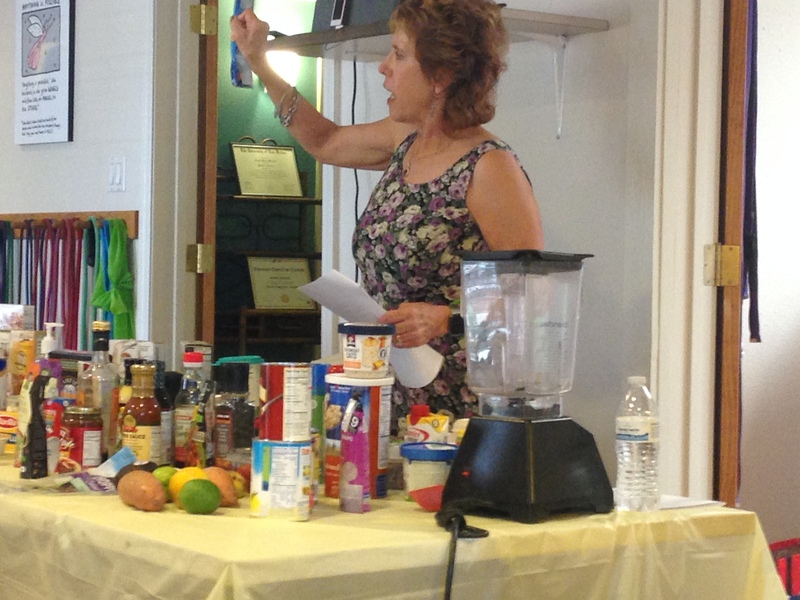 The first one is coming up Saturday August 19th: “Grab and Go: Healthy Meals in 20 Minutes or Less”. More. 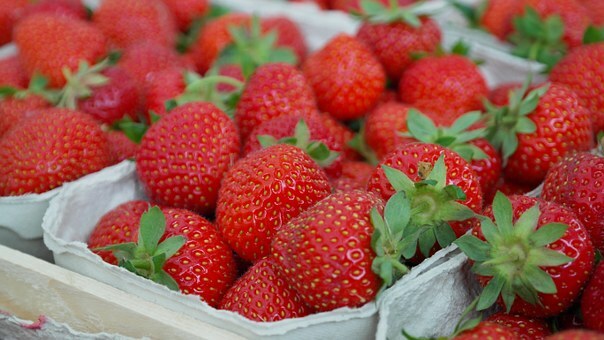  It is best to eat strawberries at room temperature, and within 2 days of purchase to maximize nutrition and taste. A gourmet way to serve this fantastic summer fruit! The balsamic vinegar brings out the berries’ beautiful color and makes their flavor “pop”. The strawberries are great simply served by themselves in a parfait glass (6 servings; 50 calories per serving). Place strawberries in a bowl. Drizzle vinegar over strawberries, and sprinkle with sugar. Stir gently to combine. Cover and let sit at room temperature for at least 15 minutes before serving. 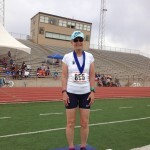 This impressive woman (yes, she is my client) just completed three races in Roswell, NM on Saturday and earned a third, second and first place. She now holds the state record for the 800 meter run for women in the 65-69 age category. The beauty of it is just a couple of years ago she was mostly sedentary and about 50 pounds heavier. Alice with 800 meter first place medal for women 65-69 in Roswell, NM 7/16/16. She started her return to exercise in one of my simple yoga classes and then added some personal training and really hit her stride with weight lifting. A powerful goal that emerged was to feel comfortable running as she had done many years ago. After building up some aerobic capacity and confidence by attending small group circuit training she joined a local running club. The rest is history, sort of. Her success is kind of a study in determination, goal setting, consistency and why we need support systems. It takes a certain amount of grit combined with an urgency for action and opportunity – when they come together, the results can be very cool. The Body Positive Spring Challenge Starts Saturday, May 14th. Your fitness level is NOT important, just your readiness to give it your best! Get stronger, better and faster on 8 measures over 7 weeks. The one mile event will be scheduled depending on sign ups. On Sat., 5/14 (or possibly earlier), we’ll get a baseline for the other items. Over the next seven weeks we work on those and also track and improve water and veggie intake. The price to participate is only $30 and includes baseline and final measures, one free class (two if you are new to Body Positive), resources and support for your success and prizes in all categories plus an overall champion. Contact me to register and for more information. We rely on our feet to get us around, support us in exercise & provide critical feedback on our balance & stability. Yet we tend to neglect our most important foundations–until they give us trouble. The moves below also help with tight arches or ankles, which can lead to stress and strain in the knee & hip joints as well as increase our risk of tripping (and falling!). Relief is simple: preempt foot pain and improve balance & function with a few simple stretches and tennis ball rolls. First roll the length of your bare foot over a tennis ball 10-20 times. Next, pause and press over the arch & any tight spots. Finally, stretch the top of the foot, ankle & shin: stand 1-2 feet from a wall, facing away. Bring the top of one foot against the wall behind you (your toes will point toward ceiling). Gently and gradually orient that knee to the floor and lean back towards wall against your bent leg. Bring heel towards glute and stand up tall. Hold 10-60 seconds. Repeat 2-3x. Before: Using shoulders to hold a plank. Note downward head. After: Shoulders are level, and core is doing the work. Note neutral spine. There are good planks, and there are great planks. Finding out which is which is the difference between really using your core muscles and just hanging out. The before and after photos above illustrate this point. 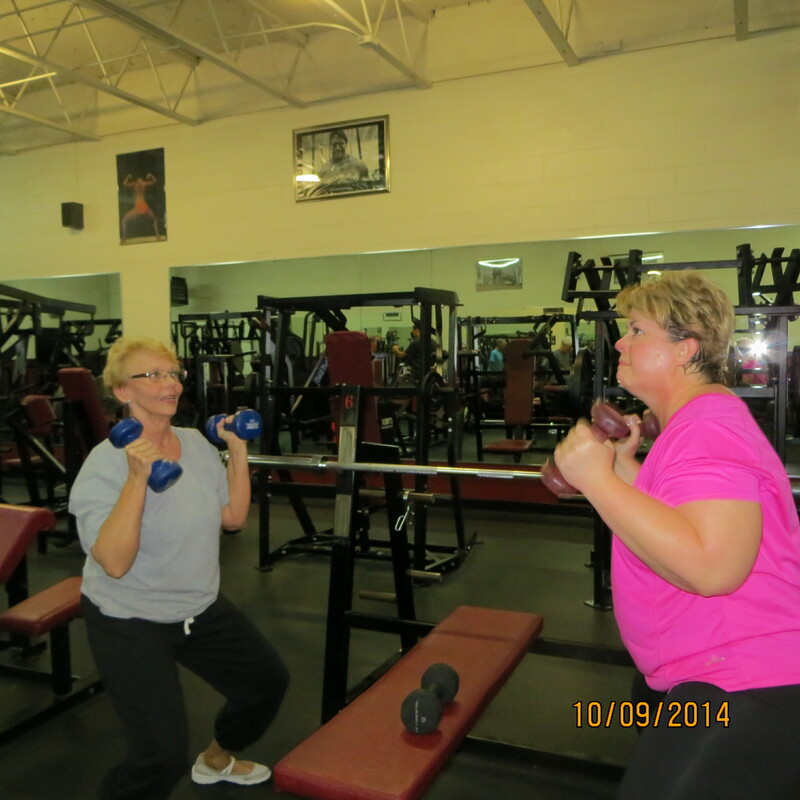 On the left, my client has engaged her upper back and shoulders to raise herself off the floor. There is very little core work here. On the right, she keeps the upper back level, transferring the work of elevating and holding the body to the midsection instead of the shoulders. Round shoulders up to ceiling, then relax to what feels like neutral, or flat across the shoulder blades (not rounded up). Check a mirror or have someone check for you. Maintain this strict shoulder position. Do not allow any part of your torso from shoulder to hip to change. Extend first one leg and then the other straight back so you’re on your toes and palms, in your perfect plank. What does it take to get fit, be healthy, and lose weight? It takes a plan, strategies to overcome excuses, support, information, and a vision. Most of all, though, it takes courage. Let’s face it, deciding to chart a new life course that includes exercise, eating more healthful food or facing down bad habits has a common thread – all these behaviors require change on a personal level. It takes courage to step out of our comfort zone, to step into that gym or class for the first time. Facing the objections or even criticism of others, changing a habit (sometimes saying “no, thanks” to lunch) – it all takes guts. I think we fall in love with the idea of change, but when it comes time to put our plan into action, we resist. We may set goals and create visions of our potential new selves, but then we resist doing the very things that will launch our journey. Why? There could be many things running under the surface that hold us back and it will take courage to uncover those roadblocks. If you’re like many people, finding the courage to start can be hard. Good news: researchers say you can develop courage by practice. Here’s a challenge: identify one thing you’ve been avoiding (yucky chores don’t count!) and commit to one small action step. Success builds on success and every small step towards what we want brings us closer to that courageous, fulfilled person we envision. Meanwhile, to help you get started on a healthier eating plan, I’ve included a link to a delicious smoothie recipe I guarantee you’ll enjoy! Recipe courtesy of Whole Foods Market at http://www.wholefoodsmarket.com/recipes/2879 I suggest using unsweetened almond milk and adding protein powder if you want a protein boost. About 220 calories per serving.